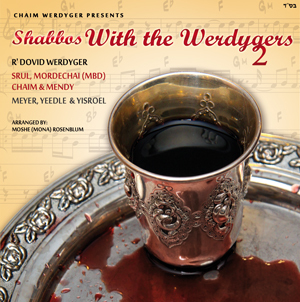 The follow up to the wildly popular Shabbos With the Werdyger’s CD. The first album featured songs from Friday Night, this album features Zmiros commonly sung on Shabbos morning. Includes an all star cast including R’ Dovid Werdyger his sons, Srul, Mordechai (MBD), Chaim & Mendy. Their sons, Meyer, Yeedle & Yisroel. This is one album you can’t miss!